What are Napoleon Hill’s seven rules for success? | Sarder TV – Learning Ideas. You are at:Home»Business»What are Napoleon Hill’s seven rules for success? 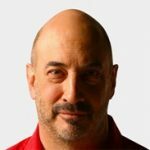 Jeffrey Gitomer goes over Napoleon Hill’s rules for achieving success. This includes believing in yourself, cultivate enthusiasm, be honest, practice self-denial, be a giver, use your own self-will to power your success, and concentrate your efforts. According to Gitomer, to be truly successful you need to be sure that you adhere to all seven rules. Previous VideoWhat was Napoleon Hill’s belief around the use of time? Next Video What did Napoleon Hill mean by developing a “chief aim in life”?